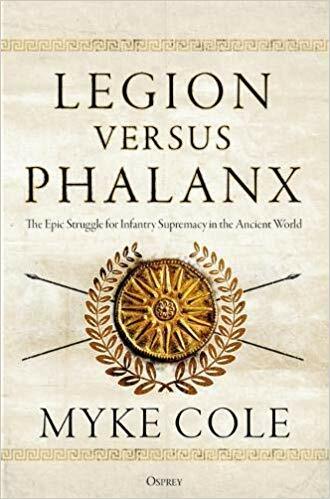 Book Review: Legion Versus Phalanx by Myke Cole. Book Review: King of all Balloons by Mark J. Davies. I once followed an air balloon. It wasn’t hard to keep up with, and indeed I even got so close that I could read the name “Virgin” written on the red sign on the basket. It wasn’t hard at all, because it was driving along a curving A-road in England, quite secured to the ground, and I was in a car behind it. As it drove along, I wondered if Richard Branson would ever use it to trick some small village into thinking aliens had landed or something. Balloons are fantastic things, quite out of the everyday they were once the the technological innovention of the century. Capable to some minds of doing anything. In modern times we ponder on the power of technology, of spy satellites and rockets and super weapons. In the past it was once pondered, half in jest perhaps, that Napoleon might send an armada of air balloons to invade Britain. The men (and women) who flew in them were not so far removed in their contemporaries eyes from how we view today’s astronauts. They were called Aeronauts, contemporaries called them Ærostratists, most people called them insane. At a time when the speed of a ship and the speed of a horse were the fastest modes of transport around, a device as precarious as a basket connected to a balloon could propel a body vertically at speeds of 84mph. Today a hot air ballon is a quaint thing to do on a more than adventurous holiday, or if you are wildly romantic, a place to propose to your girlfriend. Either way though it’s still considered a bit bonkers, but in the late 18th century it’s not overreaching to say that the first balloonists were essentially the first astronauts. Apart from the upper atmosphere, there isn’t a physical barrier or wall between sky and space. Anyone interested in spaceflight therefore should be interested in Davies’ biography of one of the pioneers of flight. It’s quite apt indeed that this method of aeronautics should come into its own at around the same time as the first rockets were being adopted by the army. Put the two endeavours of ballooning and rocketry together and you have the two elements necessary to open the way to Space. This is why stories like that of James Sadler resonate in the “Satellite Age”, not least because we get to see what an 18th century mind considered as space age technology. Davies’ life of Sadler, the pioneering British Aeronaut, is a deeply researched biography that explores not only his glamorous and dangerous ascents, but his work in the field of arms manufacture, and his personal life, bringing this neglected man, who will easily become one of the most unusual people you’ll probably read about for a while, back into the spotlight and like all good biographies it puts a spotlight on the times in which he lived as well. 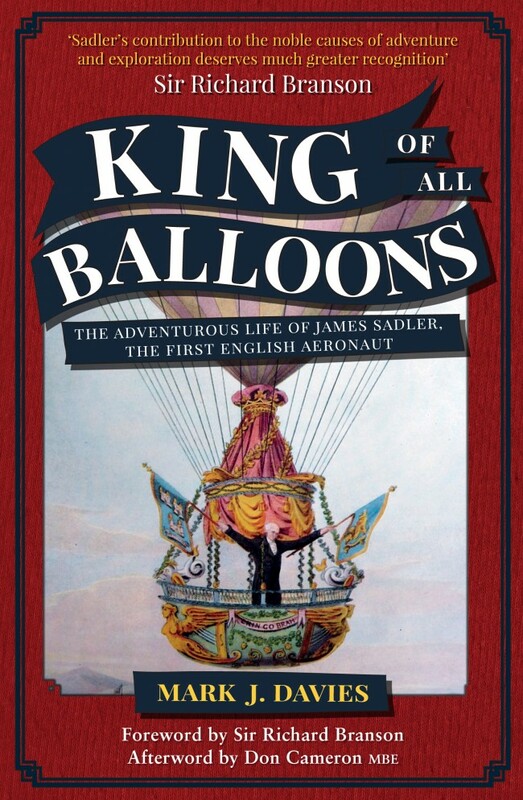 For those wishing to read something different, or those interested in flight and the wider history of the exploration of the upper atmosphere, you couldn’t do much better than picking this book up and learning about the King of all Balloons. As most people who can remember their early history lessons will know; at some point in its early history, Rome was dominated by a people known as the Etruscans. And that there was something about a chap named Horatio and a bridge. Because of this they rank high amongst Rome’s Italian foes as equal to the Samnites, and for Rome to flourish they had to be dealt with, and the struggle to destroy their influence contributed greatly to the founding legend of the city. In terms of art they left a remarkable legacy, also in archeology, allowing a tentative and at times complete reconstruction of their appearance, their grave goods are as stunning as any unearthed in Italy. As a legacy, as well, they left their mark on Rome, just as in practically every other acquisition they made the Romans made the Etruscans a part of their identity. And a very visible one at that, some of the most ostentatious parts of their triumphal ceremonies trace back to some Etruscan germ. 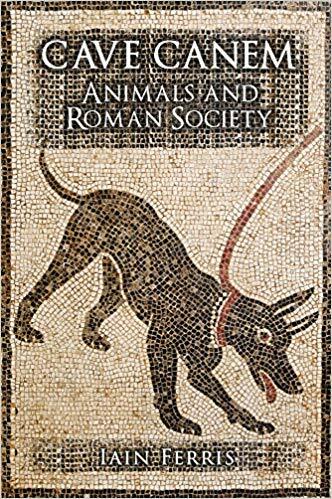 Two periods of Etruscan military development are considered in this book. The Villanovian period, which covers the earliest archeological evidence to the Classical Period where written works can be added to the artefacts, up to the fall of the Etruscan confederacy at the hands of their once servile neighbours. 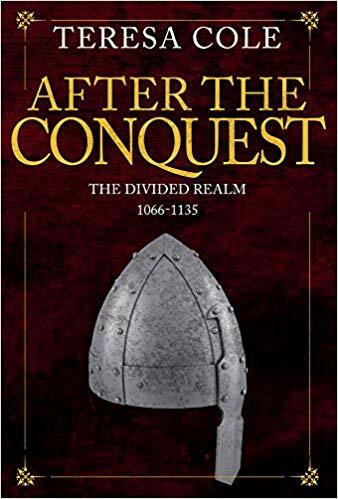 Each section is given over to an overview of the period and a much larger examination of practically every type of weapon and armour that can be associated with the Etruscans, broken into subsections. 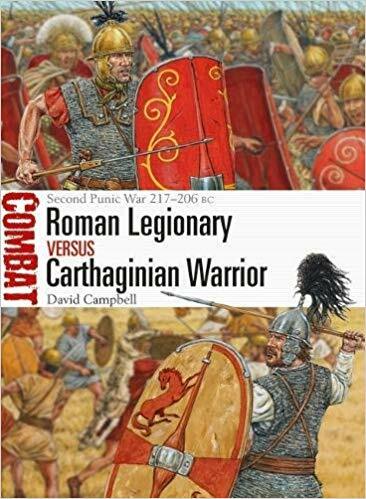 This is an Elite book, and perhaps should have been a Warrior title, but it goes a long way to forming a picture in the mind of the reader of what an Etruscan warrior looked like. There is a good deal of supposition about tactics and organisation, filling in gaps where no direct evidence exists. 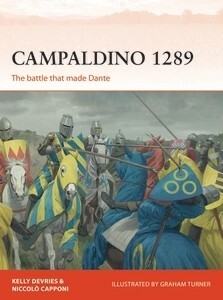 Raphael D’Amato has worked a great deal with Giuseppe Rava in the past, perhaps the best artist currently working with Osprey to illustrate a book about such legendary and epic warriors. His Etruscans ripple with flesh and muscle, bulging veins and sinews spread across trunular arms like tree branches. Skin glows behind battle reddened faces, and Lars Porsenna has perhaps never looked so Imperial as here, standing behind his superbly rendered chariot. Rava’s gleaming weapons and quite stunning hammered, bronze shields are marvellous recreations. Then at the end, to reinforce D’Amato’s and other scholar’s argument that the Roman army was much less uniform and much more culturally integrated than has been supposed, we have Etruscans marching for the Roman Republic. 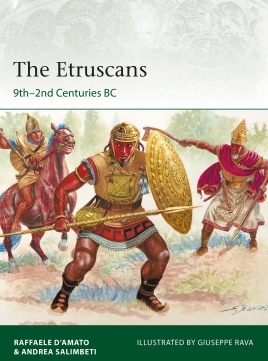 A very interesting and comprehensive introduction to the arms and armour of the Etruscans. 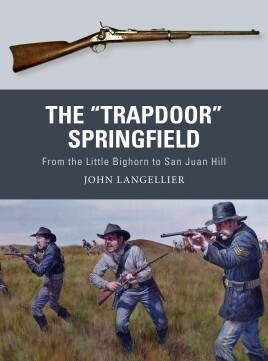 Book Review: Trapdoor Springfield by John Langeller. This was a weapon of great longevity, if Winchester’s and Colt’s won the West, then the Springfield policed it. It is no coincidence that in the movies, it is always the Springfield armed cavalry that rides in at the end to save the day. As usual with the weapon series, the various incarnations of the subject weapon is gone over, including the development of the technology and basic stats. The most important type of trapdoor was what was knows as the Allin, but trapdoor technology was a versatile thing, the significant thing about the trapdoor Springfield is that it’s popularity with the army stemmed as much from practicalities as its effectiveness. With so many surplus weapons left over from the civil war, a way had to be found to make use of them. By applying trapdoor breechloading technology to many percussion Springfield’s, a new weapon, musket and carbine, was invented and became the staple weapon of the US army for the rest of the 19th century. 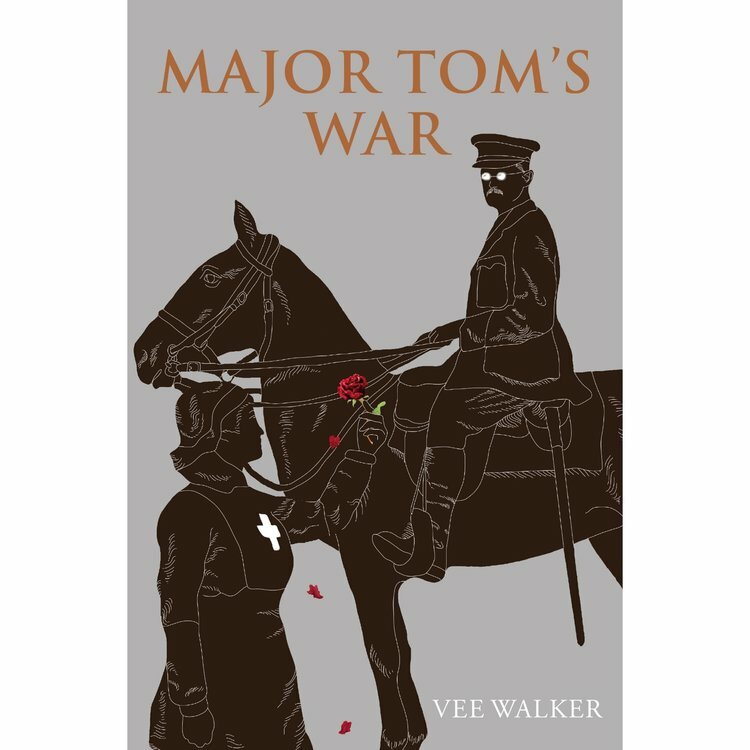 It changed and improved of course, with the 1873 pattern and different experiments that got tried out through the decades leading up to the replacement of the trapdoors with magazine rifles and carbines at the end of the century. And all of this is quite thoroughly covered. Within this book we are given a run down of, Red Cloud’s war, focusing on the Fetterman ‘massacre’ and the Wagon Box fight. The Great Sioux War, giving interesting insight on Little Bighorn. 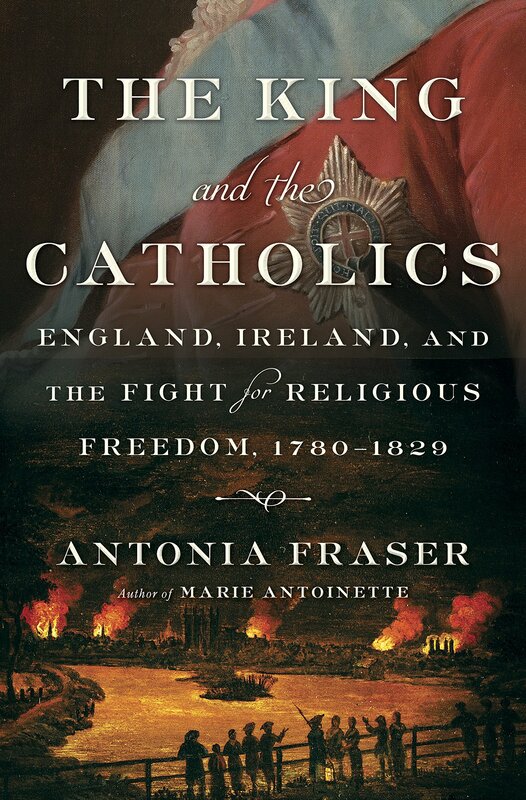 Specifically that historians have in the past been quick to blame the tools rather than the men. The author here indicating that there is reason to believe that the cavalry might have been rather poor shots. The Red river, Nez Perce, Bannock, Ute and Apache Wars are also included, not to forget the infamous Ghost Dance ‘War’. The survey of the wars in which the weapons were used ends with the Spanish American and Philippine Wars. These sections don’t focus terribly on how the weapon was used or its effectiveness in the actions listed, except for Little Bighorn, but do give an idea of how widespread and how long it was used for by the US Army. When turning to the various ways the weapon was experimented with we find various ingenious and odd things. For instance when it comes to details of Bayonets, the curious trowel bayonet is perhaps one of the more interesting. As improved range and accuracy seemed to indicate the end of hand to hand combat, yet military thinkers were loath to ditch the symbolically powerful bayonet, and so with the rise of entrenched warfare, what better way to resolve the problem than to stick a trowel on the end of the rifle? An examination of army marksmanship the author once more argues that the weapons were not faulty, the users were. 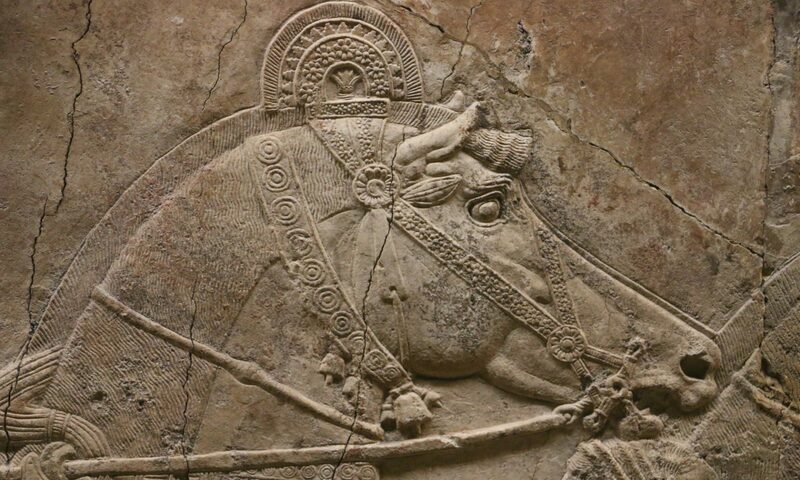 The reason hostile tribes were hard to hit wasn’t only that they were expert at concealment and horsemanship, it was the fact the army didn’t pay enough attention to good shooting practice. The Little Bighorn accusation of poor tools is directly challenged again, as the oft reported fault of jamming could happen at any battle. Examining how this weapon originated from the need to utilise surplus, became surplus and ended up as a staple prop in Hollywood westerns, is a pleasing arc for the book. And so we come to the artwork. Cutaways and photographs of many weapons help explain the text, especially interesting are the period photos, and the image of an American Indian trapdoor rifle. Steve Noon has managed to bring a cinematic presence to his scenes. The Wagon Box fight is full of movement and detail, deeply layered as always. The Little Bighorn painting is masterly in its psychological look at the army skirmish line under Reno hurrying forwards and opening fire on the tribes.